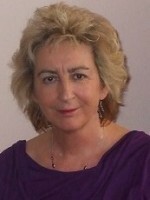 I am a highly experienced Counsellor & Psychotherapist and EMDR Practitioner. (Also medical background as a Nurse). I offer Counselling, Psychotherapy, Cognitive Behavioural Therapy (CBT), Life Coaching, EMDR Therapy (Eye Movement Desensitisation and Reprocessing), & some Complementary Therapies. & many other types of issues.. Following spinal injury and subsequent surgery, I left the field of nursing, during recovery benefiting from therapy. The benefits received, encouraged me to retrain to help others in a similar way. My experience has been formed spanning 40 years in the caring sector with nurse medical background, rigorous training, much ongoing professional development, my own batch of life experiences and listening to the numerous accounts of others. I work in an integrative, non-judgemental way, confidentially assisting you to overcome issues preventing you from leading a fulfilling happy life. It can be good to talk to someone not directly involved in your life, helping you see things more clearly, make sense of them and often form different perspectives. This can be most self-empowering for you. My passion is to help clarify those aspects that cause distress, confusion or anger, that lead you to feel stuck, and desperate. Exploring our options and choices helps come to terms with issues, enabling handling life’s challenges with renewed confidence. I also have advanced training in trauma therapy as in EMDR. EMDR helps dissipate painful memories or emotions from the past which continue to trigger you in present day, and when used in the hands of an experienced practitioner, can have profoundly favourable affects utilising only, your own minds natural healing processes.